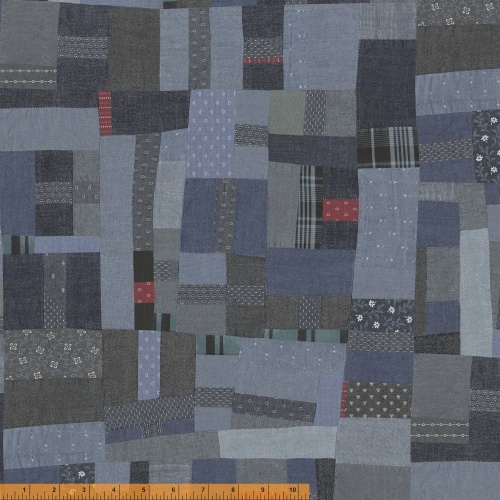 The look of denim, in quilting cotton! In shades of red, blue, charcoal and classic denim, this collection would make fantastic quilts, apparel and home dec items. A great all over patchwork print, makes it seem like you sewed up your favorite jeans into a cool and on trend quilt! 20 skus. On sale April 2018. Shipping to stores June 2018.